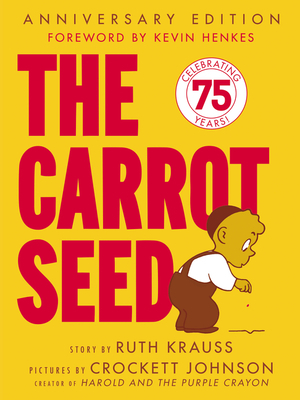 Ruth Krauss was one of the most widely celebrated children’s book authors of all time. Her long list of award-winning books includes The Carrot Seed, The Happy Day, A Hole Is to Dig, Open House for Butterflies, A Very Special House, and many others. Her books continue to be read and cherished by children throughout the world. Crockett Johnson (1906–1975) was the writer and illustrator of over twenty books for children, including the beloved classic Harold and the Purple Crayon, six subsequent adventures starring Harold, and The Carrot Seed, written by his wife, Ruth Krauss. He was also the creator of the groundbreaking Barnaby, one of the most influential and ingenious comic strips of the twentieth century.